There’s luxury, and then there’s Villa La Estancia Los Cabos, known for its unparalleled service, sophisticated style and tranquil setting. For the ultimate experience in worry free vacationing, you must experience La Estancia. The grand Spanish Colonial lobby welcomes you to the vacation of your dreams. Located on scenic El Medano Beach in Cabo San Lucas, this five-star property provides breath-taking vistas, sumptuous surroundings, innovative cuisine, and all the ingredients to make your vacation unforgettable. Splash in the turquoise waters of the Sea of Cortez, or one of Estancia’s spectacular pools. Explore endless beaches or Estancia’s sun-drenched gardens, go sight-seeing, fishing, golfing or whatever activity your heart desires. Or… kick back and relax, work on your suntan, pamper yourself in the renowned Desert Spa, and treat yourself to chef Candelario León’s culinary creations in La Casona restaurant. It’s your vacation… own it, make it exactly what you want it to be! 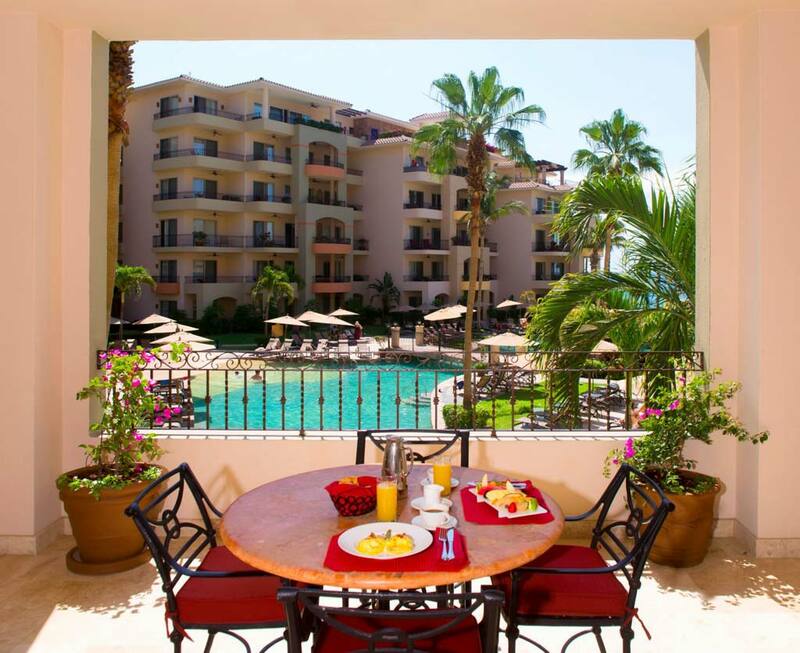 As the Cabo gem of the Villa Group’s exclusive Mexican properties, guests of Villa la Estancia can also take advantage of amenities in nearby sister properties Villa del Arco Beach Resort & Spa and Villa del Palmar Los Cabos. 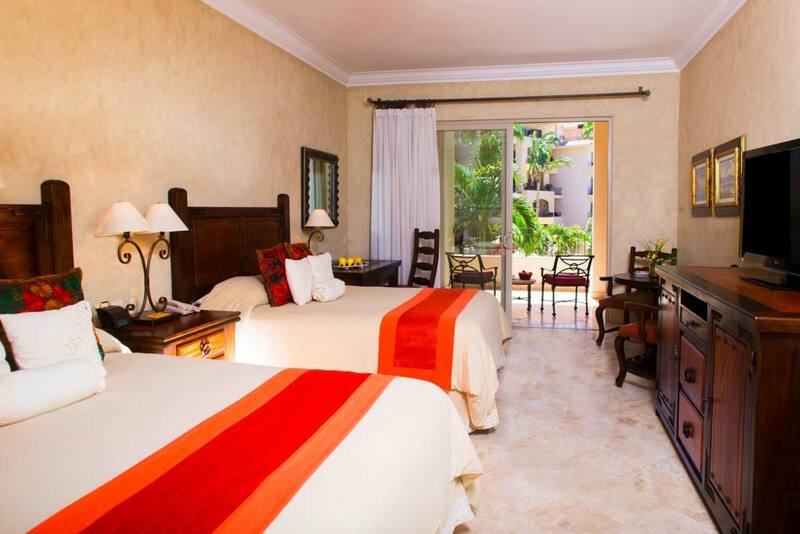 Villa La Estancia Resort provides a serene setting, with a quiet and private ambiance. What you will soon discover though, is you are sitting on the most active beach in Los Cabos. Medano Beach is the place to find jet-skiing to parasailing, water taxis to Lover’s Beach and Lands’ End; not to mention the active beach bars with great eye candy. Enjoy a healthy balance of play and relaxation. 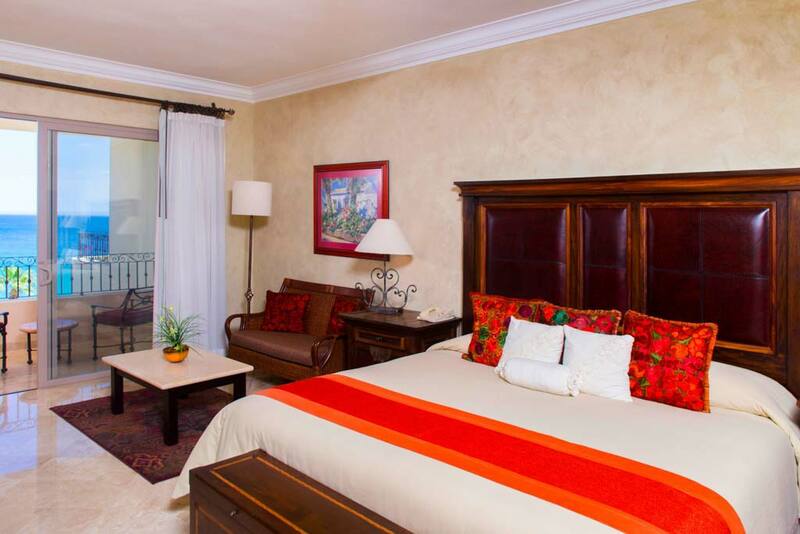 Room rates at Villa La Estancia include accommodations only. But, you will want to arrive with an appetite, as you have four wonderful restaurant options on location to choose from; plus the menu for poolside dining and room service. You are also an easy walking distance to wonderful culinary experiences off the property in the heart of Cabo San Lucas, El Centro. Ask your LuxLife Vacations Concierge for amazing restaurant options in the area to fit your mood, appetite, style and budget. Villa La Estancia is a Beacher’s dream. If you’re looking for an amazing resort which has all the beach activities at your disposal, then you have found it! From Jet-skiing to parasailing, to dipping into the crystal clear waters of the Sea of Cortez, you will have all kinds of beach fun at your fingertips. You’re just a 1 minute walk down the beach to all the beach bars and restaurants, and people watching on famous Medano Beach. Villa La Estancia: La Casona & La Parrilla. Villa Del Palmar: Bella California, Pizza Bar, Taco Bar, Sports Bar, La Terraza (theme nights). This is a food-only plan that also includes water, soft drinks, coffee and tea. Alcoholic beverages are not included in this plan. 40% discount applies for menu items marked as “Premium” on restaurant menus. 40% discount applies on food for private Sunset Dinners on the Beach. 25% discount applies for Private Chef Services in room. Tax and service are included. The tranquil turquoise waters of the Sea of Cortez and inhaling fresh salt air lull you into total relaxation on your private terrace or inside your Deluxe Superior Room. 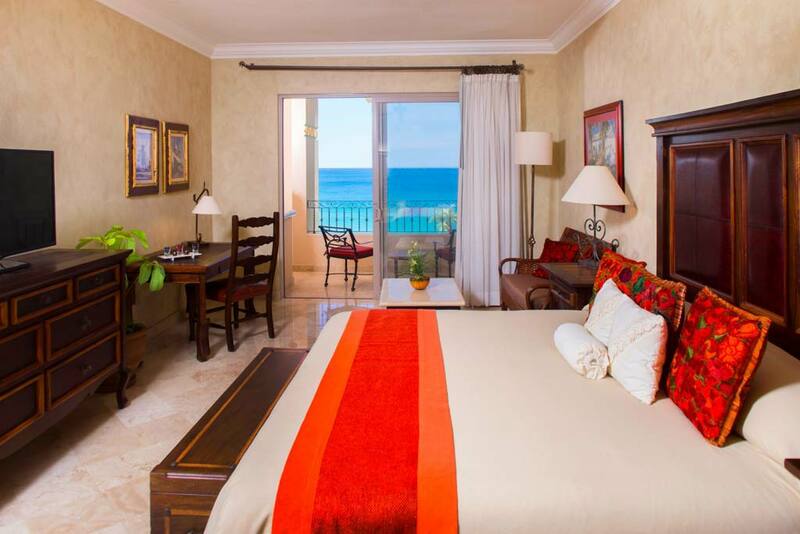 This spacious and airy room with garden or ocean view features two queen beds, and a luxurious bathroom in a palette of natural stone and calming colors. Kick back, relax and enjoy… It’s Mexico, and it’s finally your vacation… time to do what you want to! 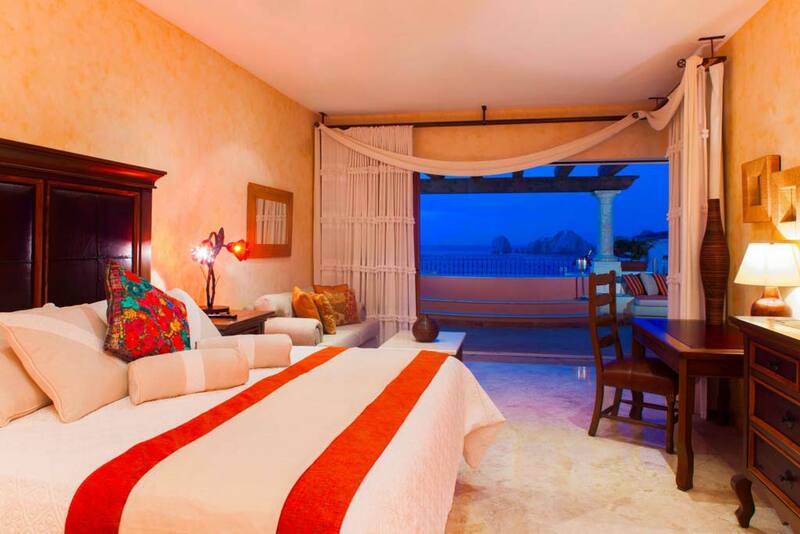 The tranquility of Villa La Estancia will take you into total relaxation on your private terrace or inside your private One Bedroom Suite hideaway. This airy suite with garden view, features a spacious living room with sofabed, full kitchen with washer/dryer, full bath; and master bedroom with king bed, and second (ensuite) spa bathroom, for a perfectly romantic getaway. With comfortable furnishings and a palette of natural stone and calming colors, it’s easy to kick back, relax and enjoy… Prepare your own drinks and snacks, or call Estancia’s In-suite Chef service for an intimate candlelit dinner under the stars on your terrace. It’s finally your vacation… time to do what you want to! The tranquil turquoise waters of the Sea of Cortez and inhaling fresh salt air lull you into total relaxation on your private terrace or inside your private One Bedroom Suite hideaway. 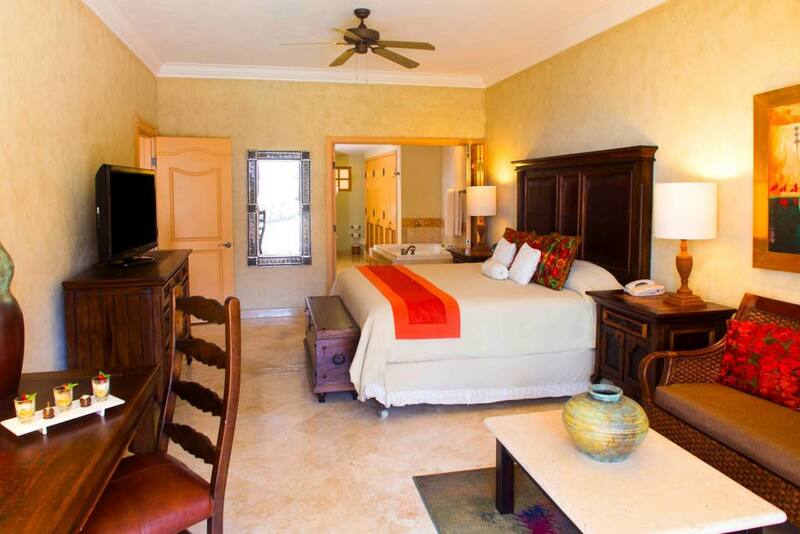 This airy suite with ocean view, features a spacious living room, full kitchen and washer/dryer. The master bedroom with king bed, and (ensuite) spa bathroom makes the suite perfect for a romantic rendezvous or honeymoon. With comfortable furnishings and a palette of natural stone and calming colors, it’s easy to kick back, relax and enjoy… Prepare your own drinks and snacks, or call Estancia’s In-suite Chef service for an intimate candlelit dinner under the stars on your terrace. It’s finally your vacation… time to do what you want to! The tranquil turquoise waters of the Sea of Cortez and inhaling fresh salt air lull you into total relaxation on your private terrace or inside Estancia’s Two Bedroom Suite. This airy suite with garden view, features a spacious living room with queen sofabed, full kitchen with washer/dryer, master bedroom with king bed & (ensuite) spa bathroom. The second bedroom has two queen beds and full bathroom, giving everyone in your party lots of room and privacy. With comfortable furnishings and a palette of natural stone and calming colors, it’s easy to kick back, relax and enjoy… Prepare your own drinks and snacks, or call Estancia’s In-suite Chef service for an intimate candlelit dinner under the stars on your terrace. It’s finally your vacation… time to do what you want to! The tranquil turquoise waters of the Sea of Cortez and inhaling fresh salt air lull you into total relaxation on your private terrace or inside Estancia’s Two Bedroom Suite. This airy suite with ocean view, features a spacious living room with queen sofabed, full kitchen with washer/dryer, master bedroom with king bed & (ensuite) spa bathroom. The second bedroom has two queen beds and full bathroom, giving everyone in your party lots of room and privacy. With comfortable furnishings and a palette of natural stone and calming colors, it’s easy to kick back, relax and enjoy… Prepare your own drinks and snacks, or call Estancia’s In-suite Chef service for an intimate candlelit dinner under the stars on your terrace. It’s finally your vacation… time to do what you want to! The tranquil turquoise waters of the Sea of Cortez and inhaling fresh salt air lull you into total relaxation on your spacious terrace, complete with wet-bar, and accessible from all three bedrooms and living room of Estancia’s Three Bedroom Suite. This airy suite with ocean view, features a spacious living/dining room with queen sofabed, full kitchen with washer/dryer, two master bedrooms, each with king bed & (ensuite) spa bathroom equipped with marble showers & Whirlpool tubs. The third bedroom has two queen beds and full bathroom, giving everyone in your party lots of room and privacy. With comfortable furnishings and a palette of Travertine stone floors and calming colors, it’s easy to kick back, relax and enjoy… Prepare your own drinks and snacks, or call Estancia’s In-suite Chef service for an intimate candlelit dinner under the stars on your terrace. It’s finally your vacation… time to do what you want to! The tranquil turquoise waters of the Sea of Cortez and inhaling fresh salt air lull you into total relaxation on your fabulous terrace, complete with wet-bar, Jacuzzi, BBQ and firepit; with direct access from all three bedrooms and living room of Estancia’s Presidential Suite. This opulent villa with ocean view, features a spacious living room with queen sofabed, home theatre system (61″ Plasma TV), dining room, full kitchen with washer/dryer, and half bath. Two luxurious master bedrooms, each with king bed have (ensuite) spa bathrooms equipped with marble showers & Whirlpool tubs. The third bedroom has two double beds and full bathroom, giving everyone in your party lots of room and privacy. With comfortable furnishings and a palette of Travertine stone floors and calming colors, it’s easy to kick back, relax and enjoy… Prepare your own drinks and snacks, or call Estancia’s In-suite Chef service for an intimate candlelit dinner under the stars on your terrace. It’s finally your vacation… time to do what you want to! Villa la Estancia is the crown of a trio of Villa Group’s superb hotels in their sprawling beachside campus on the Sea of Cortez, at the edge of the quaint town of Cabo San Lucas. Shops, restaurants, bars, pools, and everything you can think of can be found in this luxurious compound. For venturing out, it’s just a short walk or drive to El Centro, as well as Cabo’s famed Puerto Paraiso Mall & Marina. Only a few minutes walk to Cabo’s people-watching paradise — El Medano beach; where you can dig your toes in the sand, swim, explore, and indulge in a variety of beach palapa restaurants and bars. Treat yourself to chef Candelario León’s culinary creations in La Casona restaurant. Find an aromatic assortment of barbecued delicacies at La Parrilla; or have their chefs prepare you a special beachside Sunset Dinner with magical torches and romantic setting on the beach (6-9 PM only). Pick up snacks and drinks for your villa at Palmita Market & Deli; And treat yourself to an icy melty treat at Ice Cream Corner on the Plaza (not included in all-inclusive packages). 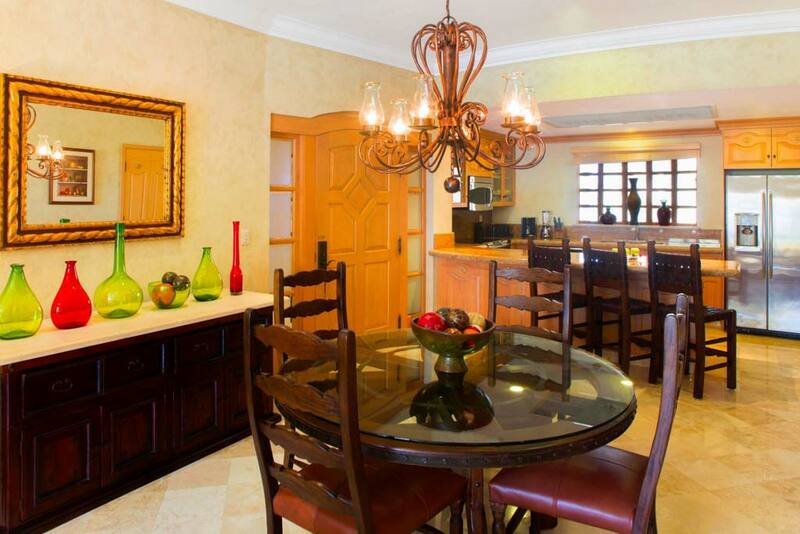 Guests of Villa la Estancia are also welcome to enjoy the restaurants at all three Villa Group Hotels. Breakfast, lunch and dinner at all restaurants and bars at Villa La Estancia, Villa del Arco and Villa del Palmar. ALCOHOLIC BEVERAGES ARE NOT INCLUDED IN THIS PLAN. 2 children 12 and under free in parents room in EP Plan (applies only to Deluxe Suite as the rates for the other categories are a “flat” rate regardless of the combination of adults and children in the unit as long as the maximum occupancy per unit isn’t exceeded).